excipients: microcrystalline cellulose, lactose monohydrate, ethylcellulose, sodium starch glycolate, magnesium stearate, talc purified. The exact mechanism(s) by which barbiturates exert their effect on the CNS, has not been fully elucidated. However, it is believed that such effects are related, at least partially, to the drugs’ ability to enhance the activity of γ-aminobutyric acid (GABA), the principal inhibitory neurotransmitter in the CNS, by altering inhibitory synaptic transmissions that are mediated by GABAA receptors. Although the drugs act throughout the CNS, a site of particular sensitivity is the polysynaptic midbrain reticular formation which is concerned with the arousal mechanism. Barbiturates induce an imbalance in central inhibitory and facilitatory mechanisms influencing the cerebral cortex and the reticular formation. The significance of the effect of barbiturates on neurotransmitters is unclear. It appears that the drugs decrease the excitability of both presynaptic and postsynaptic membranes. It has not been determined which of the various actions of barbiturates at cellular and synaptic levels are responsible for their sedative and hypnotic effects. Barbiturates are capable of producing all levels of CNS depression—from mild sedation to hypnosis to deep coma to death. The degree of depression depends upon dosage, route of administration, and pharmacokinetics of the particular barbiturate. In addition, the patient’s age, physical or emotional state, and/or the concurrent use of other drugs may alter the response. Relatively low doses of the barbiturates depress the sensory cortex, decrease motor activity, and produce sedation and drowsiness. In some patients, however, drowsiness may be preceded by a period of transient elation, confusion, euphoria, or excitement, especially after subhypnotic doses of aprobarbital, pentobarbital, or secobarbital. Phenobarbital frequently produces paradoxical excitement and hyperactivity in children or exacerbates existing hyperactivity. Geriatric patients may react to usual doses of barbiturates with excitement, confusion, or depression, probably as a result of the drugs’ depressant effects on inhibitory centers of the cerebral cortex. Larger doses distort judgment, cloud perception, suppress motor activity, and produce drowsiness and sleep. Still larger doses induce anesthesia. Barbiturate-induced sleep differs from physiologic sleep. Barbiturates reduce the rapid eye movement (REM) or dreaming stage of sleep. Stages III and IV sleep are also decreased. Although tolerance develops to the REM-suppressant effects during chronic administration, REM rebound occurs when the drugs are withdrawn, and the patient may experience markedly increased dreaming, nightmares, and/or insomnia. Barbiturates have no analgesic action and may increase the reaction to painful stimuli at subanesthetic doses. All barbiturates exhibit anticonvulsant activity, but only phenobarbital, metharbital, and mephobarbital are effective anticonvulsants in subhypnotic doses. In usual hypnotic doses, barbiturates depress respiration similar to that occurring in natural sleep. With larger doses, however, the drugs markedly decrease the rate, depth, and volume of respiration, probably through a direct action on medullary centers. Rapid IV administration of these drugs may produce respiratory depression and transient hypotension. Reduction of tone and motility of the GI tract following sedative doses of the barbiturates is largely caused by their central depressant action rather than by any direct effects on the GI tract. In toxic doses, the drugs depress transmission of impulses in autonomic ganglia. Although barbiturates decrease oxygen consumption of all tissues, hypnotic doses have no measurable effect on the basal metabolic rate. Barbiturates have no direct effects on renal function, although severe renal impairment may occur in acute barbiturate poisoning as a result of marked hypotension. Hepatic function is not adversely affected by barbiturates, but the drugs, particularly phenobarbital, induce hepatic microsomal enzymes and thus may alter the metabolism of other drugs. Deep barbiturate anesthesia may prolong labor by decreasing the force and frequency of uterine contractions, although hypnotic doses have no effect on uterine activity. Barbiturates lower serum bilirubin concentrations in neonates and patients with congenital nonhemolytic unconjugated hyperbilirubinemia, presumably by induction of glucuronyl transferase, the enzyme that conjugates bilirubin. Like other barbiturates phenobarbital is readily absorbed from the gastrointestinal tract, although it is relatively lipid-insoluble; peak concentrations are reached in about 2 hours after oral administration. Phenobarbital is about 45 to 60% bound to plasma proteins and is only partly metabolised in the liver. About 25% of a dose is excreted in the urine unchanged at normal urinary pH. The plasma half-life is about 75 to 120 hours in adults but is greatly prolonged in neonates, and shorter (about 21 to 75 hours) in children. There is considerable interindividual variation in phenobarbital kinetics. 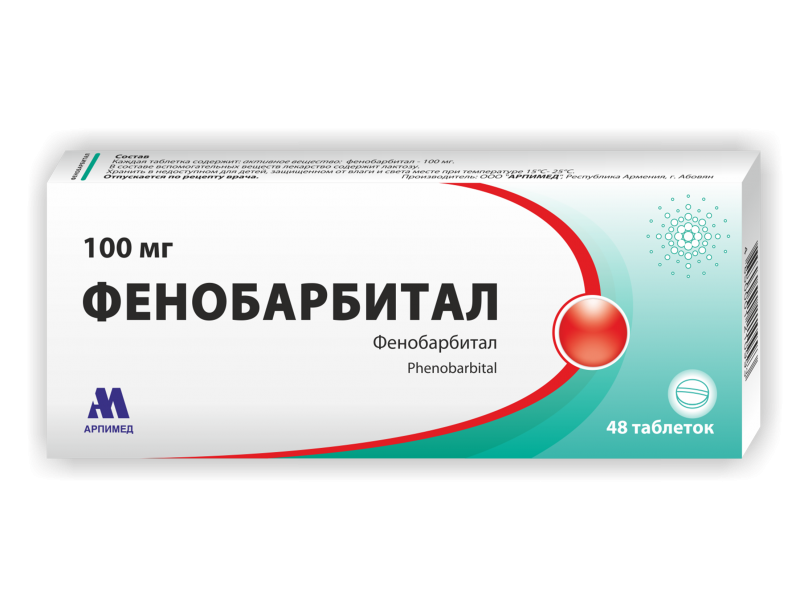 Monitoring of plasma concentrations has been performed as an aid in assessing control and the therapeutic range of plasma-phenobarbital is usually quoted as 15 to 40 micrograms/mL (65 to 170 micromoles/litre). Phenobarbital crosses the placental barrier and is distributed into breast milk. The pharmacokinetics of phenobarbital are affected if given with other barbiturates. – All forms of epilepsy except absence seizures. The dose should be adjusted to the needs of the individual patient to achieve adequate control of seizures; this usually requires plasma concentrations of 15 to 40 micrograms/ml (65 to 170 micromoles/litre). The usual dose for adults by mouth is 60 to 180 mg daily, taken at night, and a suggested dose for children is 5-8 mg/kg daily. As with other antiepileptics, withdrawal of phenobarbital therapy or transition to or from another type of antiepileptic therapy should be made gradually to avoid precipitating an increase in the frequency of seizures. When added to existing anticonvulsant therapy, Phenobarbital should be added gradually while the other anticonvulsants are maintained or, if necessary, corrected. Blood and the lymphatic system disorders: megaloblastic anaemia (due to folate deficiency), agranulocytosis, thrombocytopenia. Metabolism and nutritional disorders: osteomalacia, rickets. Psychiatric disorders: paradoxical reaction (unusual excitement), hallucinations, restlessness and confusion in the elderly, mental depression, memory and cognitive impairment, drowsiness, lethargy. Nervous system disorders: hyperactivity, behavioural disturbances in children, ataxia, nystagmus. Skin and subcutaneous tissue disorders: allergic skin reactions (maculopapular morbilliform or scarlatiniform rashes), other skin reactions such as exfoliative dermatitis, erythema multiforme. Severe cutaneous adverse reactions (SCARs): Stevens-Johnson syndrome (SJS) and toxic epidermal necrolysis (TEN) have been reported. General disorders and administration site conditions: antiepileptic hypersensitivity syndrome (features include fever, rash, lymphadenopathy, lymphocytosis, eosinophilia, haematological abnormalities, hepatic and other organ involvement including renal and pulmonary systems which may become life threatening). Suicidal ideation and behaviour have been reported in patients treated with anti-epileptic agents in several indications. A meta-analysis of randomised placebo controlled trials of anti-epileptic drugs has also shown a small increased risk of suicidal ideation and behaviour. The mechanism of this risk is not known and the available data do not exclude the possibility of an increased risk for phenobarbital. – Acute intermittent and mixed porphyria, patients with a history of acute porphyria. Symptoms: ataxia, dizziness, agitation, headache, miosis, oliguria, cyanosis, weakness, nystagmus and disinhibition. There may also be coma, hyporeflexia, hypothermia, hypotension and respiratory depression, pulmonary edema, tachycardia, cessation of electrical activity in the brain, hemorrhage, pneumonia, arrhythmias, heart failure. Reception 2-10 g usually cause death. Treatment: After an overdose of a barbiturate, gastric lavage may be considered if undertaken within about 1 hour. Repeated doses of activated charcoal should be given by mouth with the aim of preventing absorption and also aiding elimination; care should be taken to protect the airway. The prime objectives of management are then intensive symptomatic and supportive therapy with particular attention being paid to the maintenance of cardiovascular, respiratory, and renal functions and to the maintenance of electrolyte balance. Charcoal haemoperfusion may be considered for patients with severe refractory poisoning; other methods aimed at the active removal of barbiturates with a long elimination half-life (such as phenobarbital) include forced diuresis, haemodialysis, and peritoneal dialysis, but the hazards of such procedures are generally considered to outweigh any purported benefits. The American Academy of Pediatrics considers that phenobarbital should be given with caution to breast-feeding mothers, since there have been significant adverse effects including sedation and methaemoglobinaemia in nursing infants. The BNF recommends that phenobarbital should be avoided where possible during breast feeding. The risk of teratogenic effects developing appears to be greater if more than one antiepileptic drug is administered. To counteract the risk of neural tube defects, adequate folate supplements are advised for women before and during pregnancy. The concentration of antiepileptic drugs in the blood can change during pregnancy, particularly in the later stages. The dose of antiepileptics should be monitored carefully during pregnancy and after birth, and adjustments made on a clinical basis. Routine injection of vitamin K at birth effectively counteracts any antiepileptic-associated risk of neonatal haemorrhage. Breast-feeding is acceptable with all antiepileptic drugs, taken in normal doses, with the possible exception of the barbiturates, and also some of the more recently introduced ones. • Antiepileptics – phenobarbital plasma concentrations increased by oxcarbazepine, phenytoin and sodium valproate. Vigabatrin possibly decreases phenobarbital plasma concentrations. • Folic acid – if folic acid supplements are given to treat folate deficiency, which can be caused by the use of phenobarbital, the serum phenobarbital levels may fall, leading to decreased seizure control in some patients. • St John’s wort (Hypericum perforatum) – the effect of phenobarbital can be reduced by concomitant use of the herbal remedy St John’s wort. White round flat scored tablets, beveled on both sides. 48 tablets (2 blister packets with 24 tablets in the cardboard box).